Standard Chartered, the London-headquartered and listed banking group with a major presence in Asia, has established a new business unit that it says will promote innovation and the adoption of fintech applications across its international operations. SC Ventures, as the new unit is called, will be headed up out of Standard Chartered’s Singapore outpost by Alex Manson, who most recently was global head of transaction banking at Standard Chartered, the bank said in a statement. The unit will “work with businesses and functions” within Standard Chartered’s operations, focusing in particular on “catalysts” that will “help the rest of the group in problem-solving and spreading innovation best practices and client-centric design”; “investments”, through an in-house investment unit that will manage the group’s minority investments in fintech companies, and seek further investments in promising technologies; and “ventures”, through an internal venture unit that “will sponsor and oversee new disruptive technology ventures that are wholly- or partially-owned by Standard Chartered”. 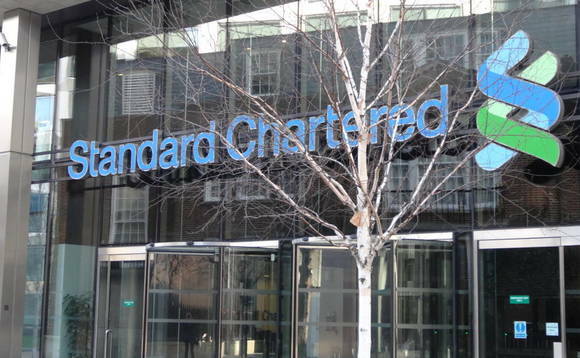 Manson will report to Michael Gorriz, Standard Chartered’s group chief information officer. In a statement accompanying the announcement of the launch of SC Ventures, Manson noted that “in a world otherwise full of technical solutions looking for problems”, Standard Chartered preferred to start its problem-solving efforts “with human beings”, and that this would be the approach taken by his new business unit. In addition to being listed on the London Stock Exchange, StanChart is also listed on the Stock Exchange of Hong Kong , Bombay Stock Exchange and National Stock Exchange of India. It employs around 80,000 globally. Standard Chartered’s decision to base its SC Ventures operation in Singapore may been as reflecting its Asia-focused business model, as well as the city-state’s repeated announcements that it has set its sights on becoming Asia’s financial technology hub.